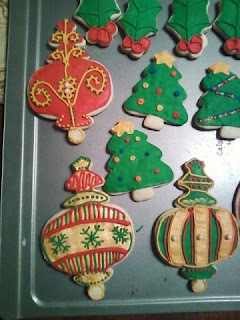 Cristin's Cookies: Cookie Challenge - Best Cookie of 2011 - 62 submissions! #1 submission was from Melody at Sweet Ivy Confections. Her Santa Claus Cookie came from a plastic cutter in a Christmas gift set. Sweet! Beautiful job Melody! #2 came from Marnie Brown using a heart cutter to make fun lingerie for Valentines Day. 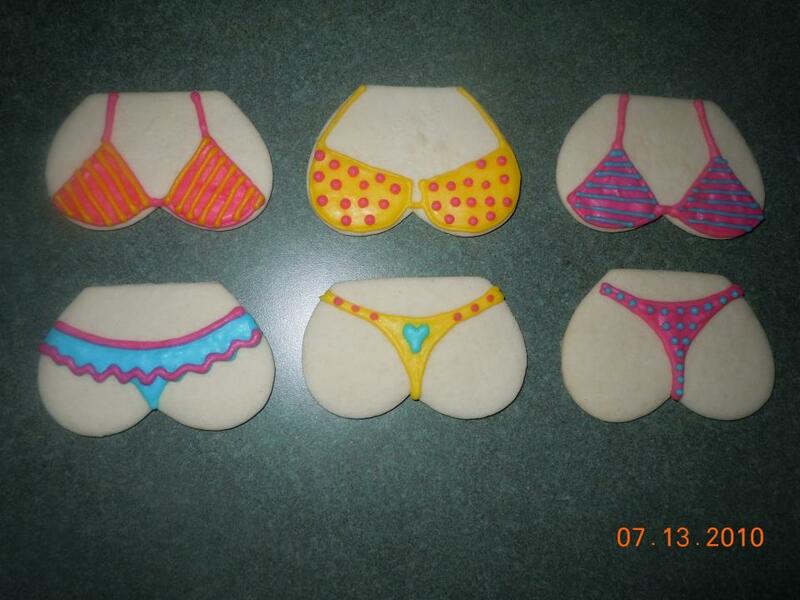 Risque ;-) Love these! #3 came from Lorraine's Cookies. 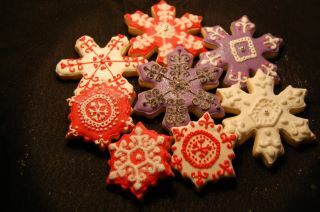 Her snowflakes in different designs were cutters from a Secret Santa. I want that kind of Secret Santa! 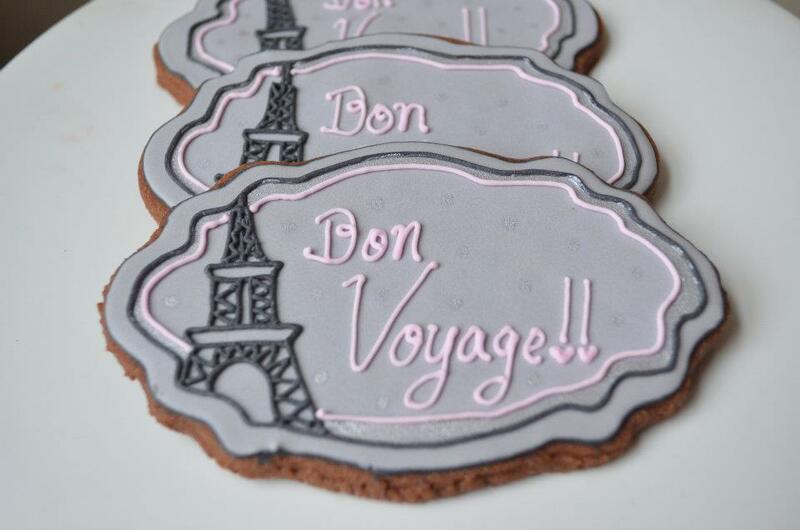 I love the details on these cookies! #4 submission was from Fumie Hara of A+ Kake sweets. 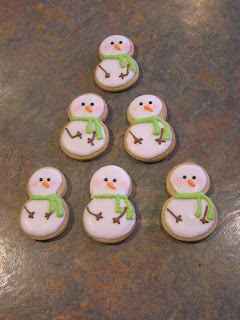 Her Snowmen cookies were made from a Snowflake cutter. I gasped at what an adorable idea this is. #5 is from the uber talented Loren at The Baking Sheet. She made a tutorial on how to make these roses, but my little brain can't seem to get the concept although I've tried and tried. 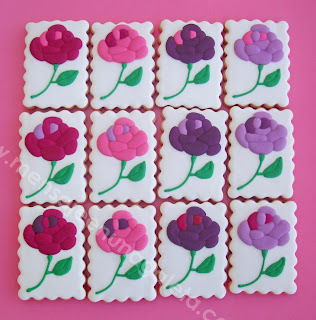 One of these days I'm going to just pay her to mail me a bunch of her extra icing roses ;-) Oh and she's having an amazing give-away right now, so check that out too! 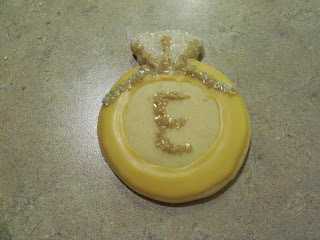 #6 is from one of my cookier friends, Stephanie, of Ellie's Bites Decorated Cookies. Now this is pretty cool, the cutter is from the back of a hairbrush popped off and cleaned! How creative is that?! Beautiful job on the decorated cookie too! #7 came from the very sweet and supportive Alyse, of B.E. Sweet Treats. 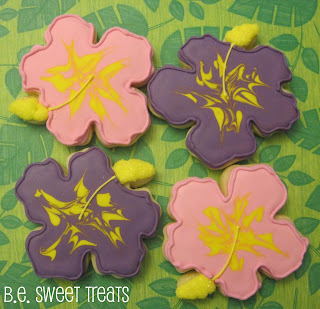 Her Hibiscus cookies were the last cookies she made for her grandma before she passed away, so these were her favorite also for sentimental reasons. The cutter is from eCrandal.com. 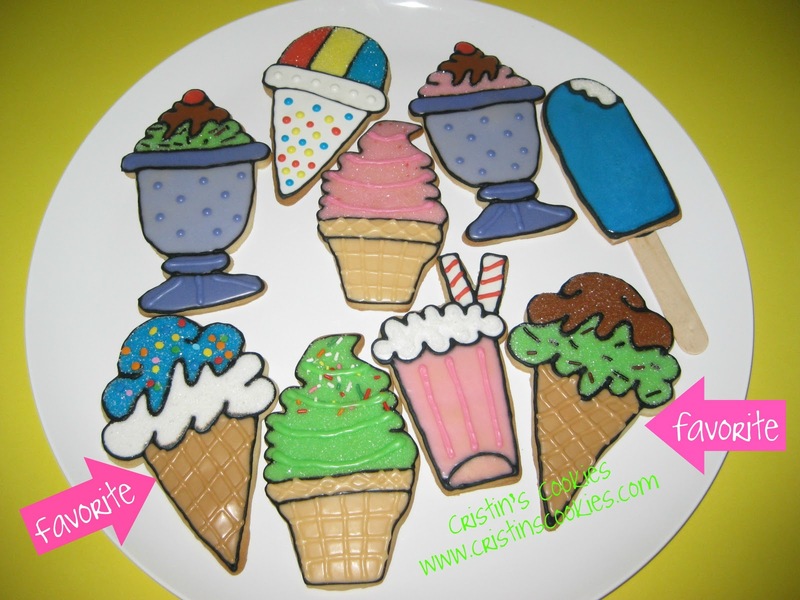 Your cookies area always beautiful Alyse! #8 is also from Alyse of B.E. Sweet Treats. She knew how obsessed I became with my Snowglobe cutter from CopperGifts.com last month so she showed me another way of decorating it too and she made into a snowman! Very creative! 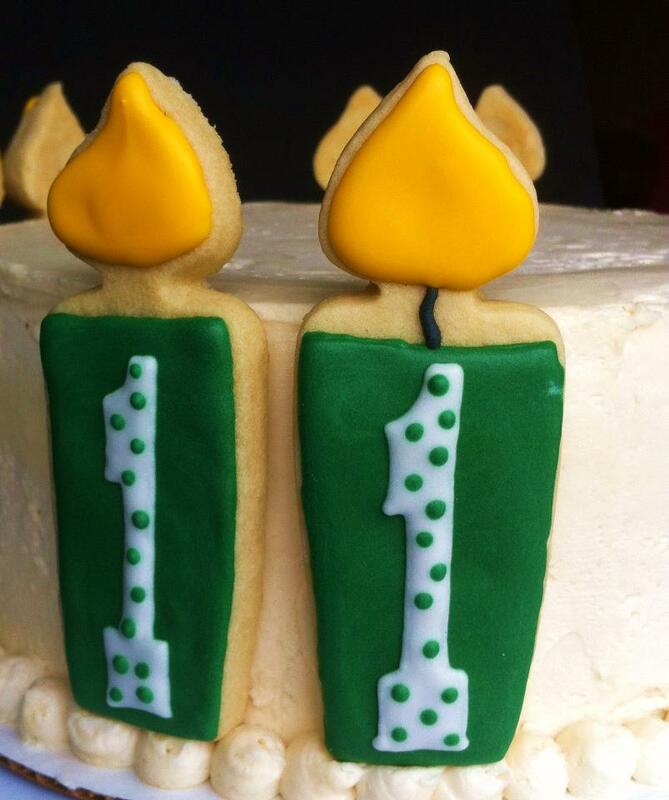 #9 is from Kathy of Cakes On The Lane. 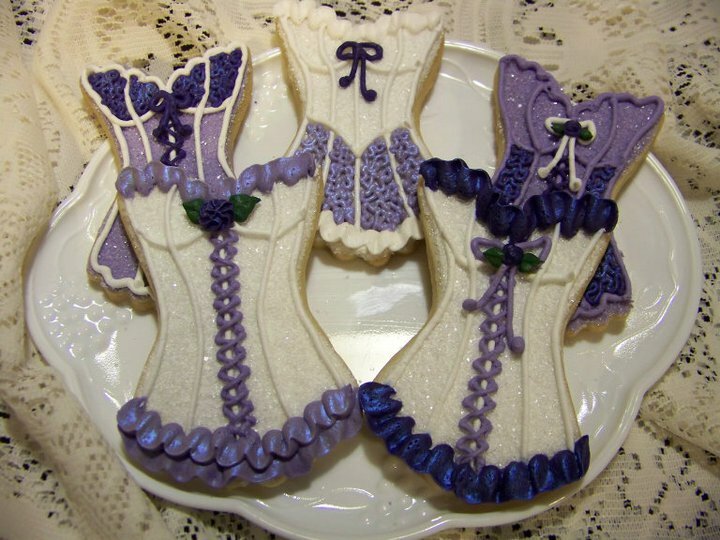 Her beautiful corset cookies are from a cutter by CopperGifts.com. I love all the detail and sparkle to these! #10 came from Anna of cookieland.pl in Poland! 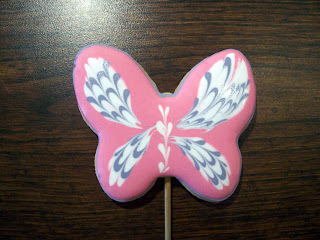 Her Butterfly cookie with pretty wings was from a Wilton cookie cutter. 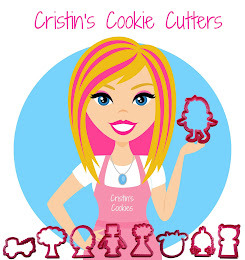 Make sure to stop by and like her page as she is new to Facebook and trying to build up her fan base to see everyone's pages and be a part of our fun cookier community! 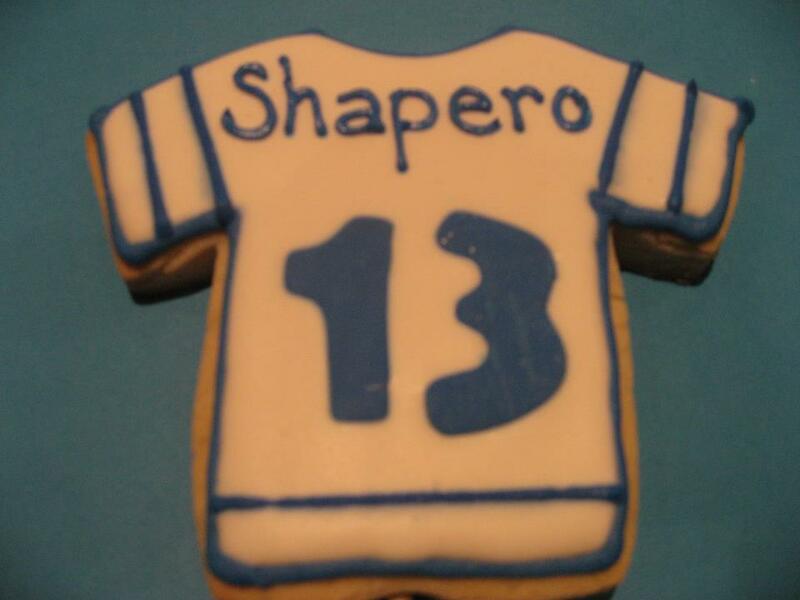 #12 came from Teresa of The Cookie Shoppe. 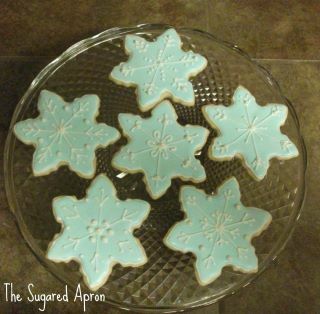 Her favorite of this bunch is the Snowflake that she enjoyed with her husband. My personal favorite of the bunch is the Snowman. Very cute! #13 came from my cookier friend, Kayla, at Toss Your Cookies. 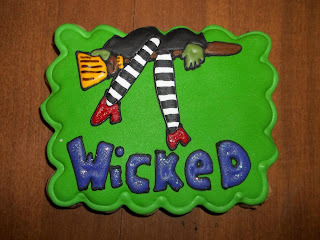 This detailed Wicked cookie was made using a scallop rectangle by CopperGifts.com. Beautiful job Kayla! 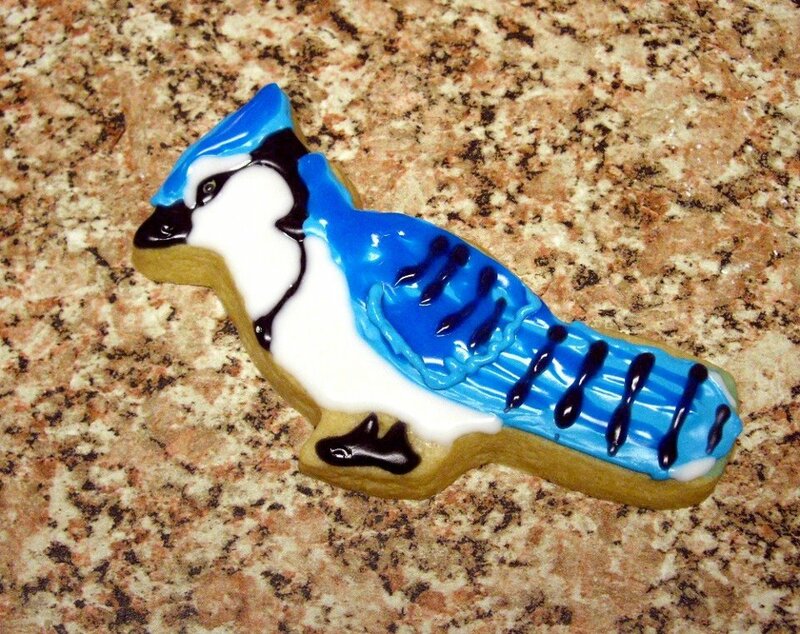 #15 is from another of my cookier friends, Margaret, at Decorated Cookies dba Edible Canvas Creations with a blue jay cookie. I told her that my son used to have a "blue jay call" when he was little. He would call them and leave out bread crumbs and they would come to see him. 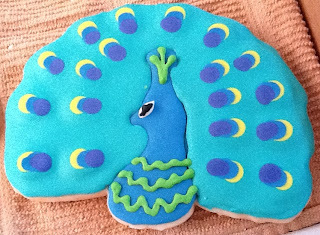 Beautiful work on this cookie! #16 is also from Anna of cookieland.pl of Poland (in addition to the butterfly above). Love the detail on these! #17 is from my buddy, Laura, of LaurasCookies. You have to get to know her. She's always super sweet and complimentary. I've really enjoyed getting to know her and seeing her cookie decorations. Laura used an Ateco circle shape to decorate these with star & ribbon for her deployed son-in-law. Prayers for our men and women and their families in service are always appreciated! #18 came from Victoria Tomczak Harvey. 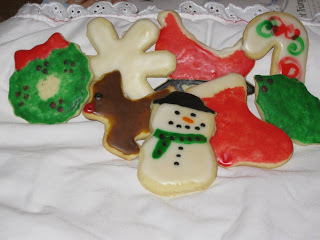 She made these ornament cookies as a newbie that just started cookie decorating in October! Amazing huh! 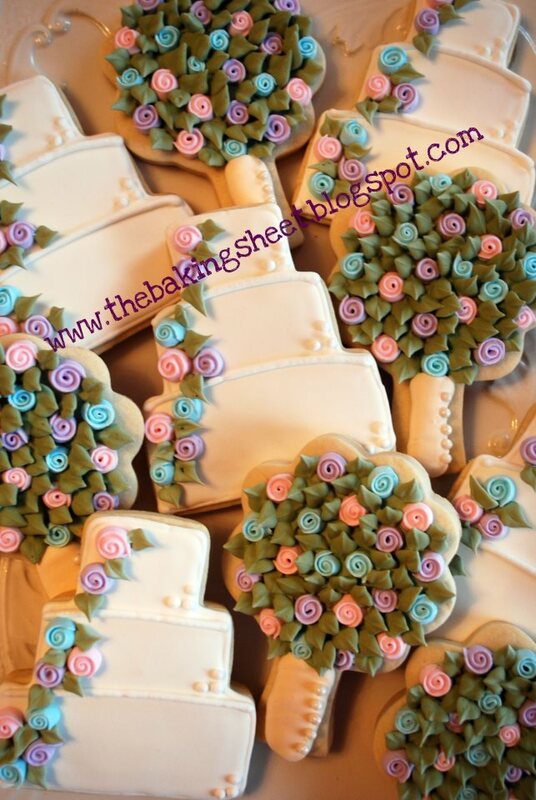 The cutter is from Cake Carousel in Texas. 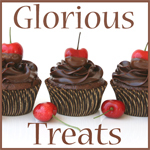 #20 is from the really fun and inspiring Karen of Trilogy Edibles - For the Love of Treats. Her beautiful and detailed snowflake cookies were made using a cutter from a kitchen store in Napa (which by the way, is my VERY favorite place to cycle). I hope you don't mind Karen, but I lightened the exposure just a bit on your photo. 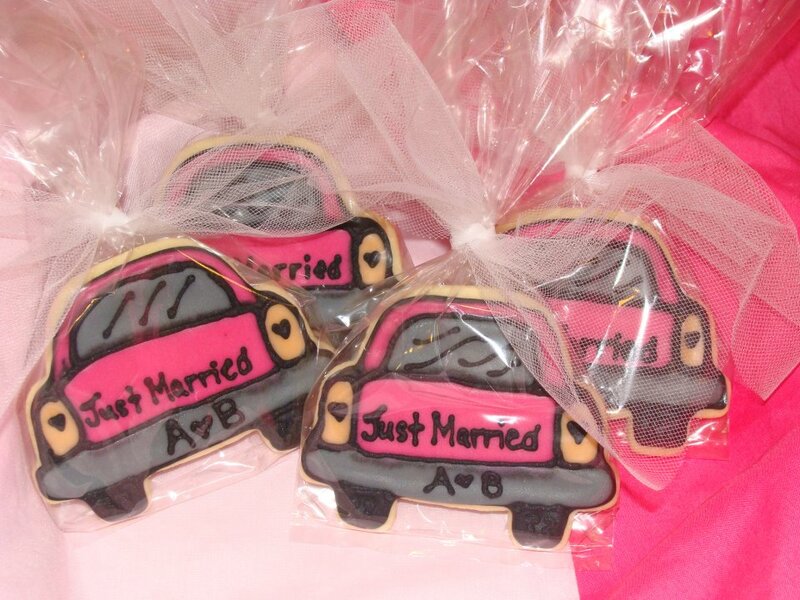 #21 came from Tahna Evers using the eCrandal.com Just Married car in PINK! She caught a little humor from some of my readers because she said that she was tired of pink after making these and that's simply not something that should be said on Cristin's Cookies ;-) She quickly explained that she loves pink, but after icing 180 cars in pink, she was tired of it. Totally allowed - we'll let her off the hook ;-) These are awesome. I made this car for my daughter's wedding in June, but she wanted boring white ones ;-) I LOVE them in pink! 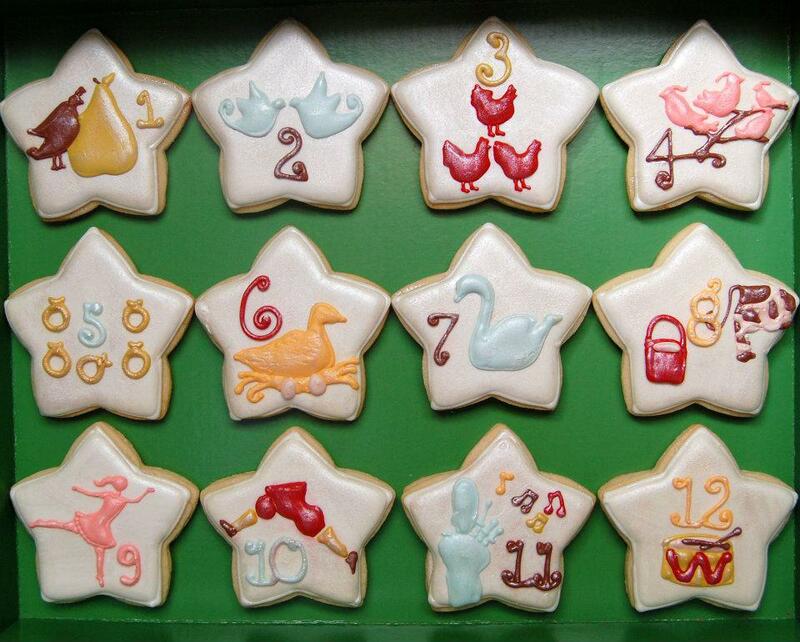 #23 came from Jodi of Wonderland Cookie Company used a basic star shape to make these incredible 12 days of Christmas cookies! These are just WOW! #24 is from Jamie of Fresh Baked. 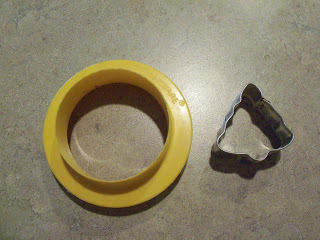 Does the cookie cutter look familiar? Yup, it is the fancy plaque square by CopperGifts.com designed LilaLoa. 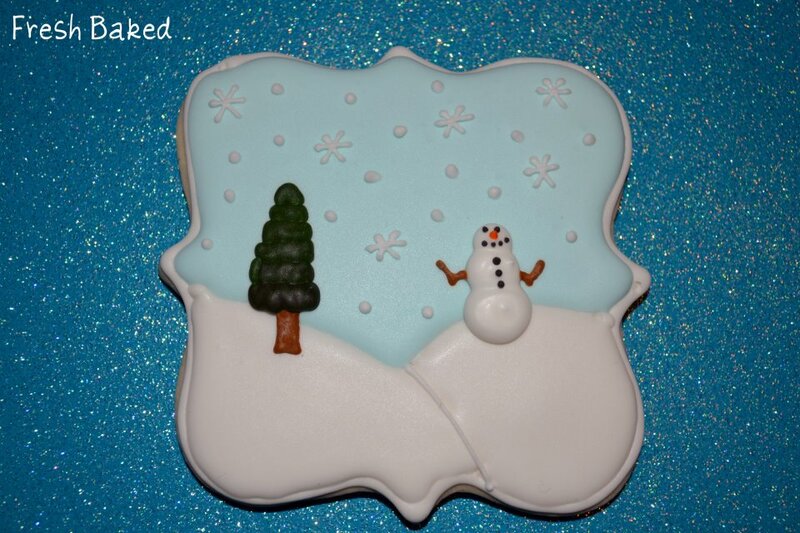 Jamie used it to make this beautiful snowman scene. So creative and beautifully decorated! 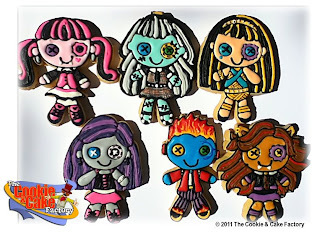 #25 Karla Estrada made these super cool Monster High dolls all hand-cut for her daughter's birthday. Aren't they amazing?! #26 brought adorable penguins (remember my penguin fetish?) from Julie of Sugar. She made the penguins and the santas from a bulb cookie cutter! What a creative and adorable idea! Julie I hope you don't mind, but I lightened the exposure of your picture to see all the details. You can click on the picture (to see the large version) and then right click on it and save it for your own file too. I just love these penguins! #27 was from the very sweet Samantha of Flour-De-Lis using a CopperGifts.com diaper pin to make these incredibly detailed pumpkins for Thanksgiving. Beautiful job! #28 Tiffany at TheRedCooky made these super cute candle cookies using a cookie cutter that she made herself. 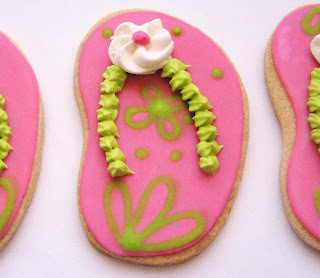 I love these and how fun would they be around a birthday cake or on top of a birthday cake! Love this idea! Great job Tiffany! 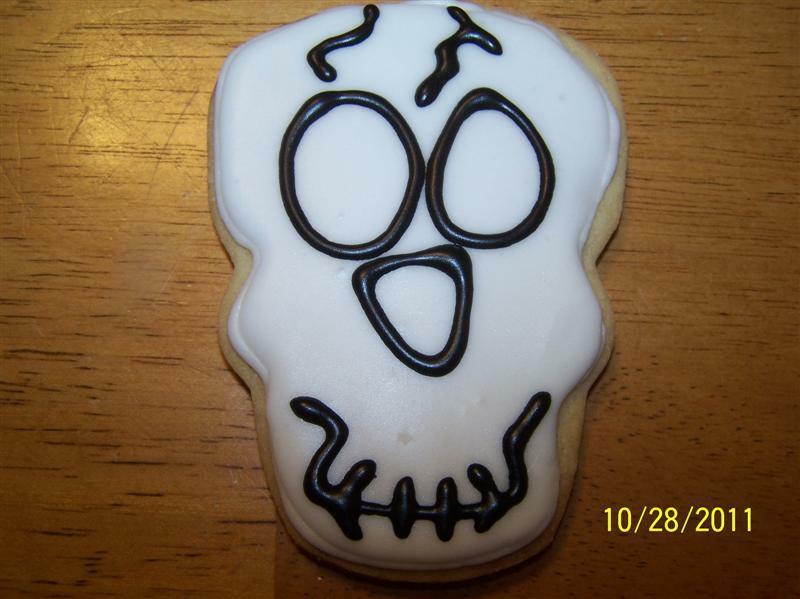 #29 is from Janis of Janis Bakes. 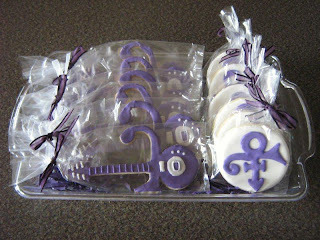 She is a big fan of Prince and she made these Prince cookies as a tribute for their local band with guitars that are hand cut and the other is a Pampered Chef biscuit cutter. Gorgeous! 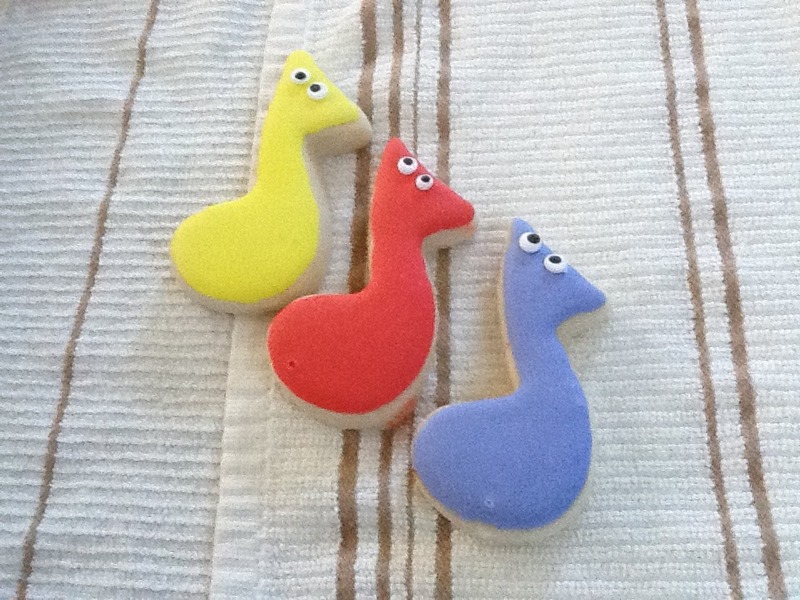 #31 is from another cookier friend, Kate, of Kooking in Kate's Kitchen. 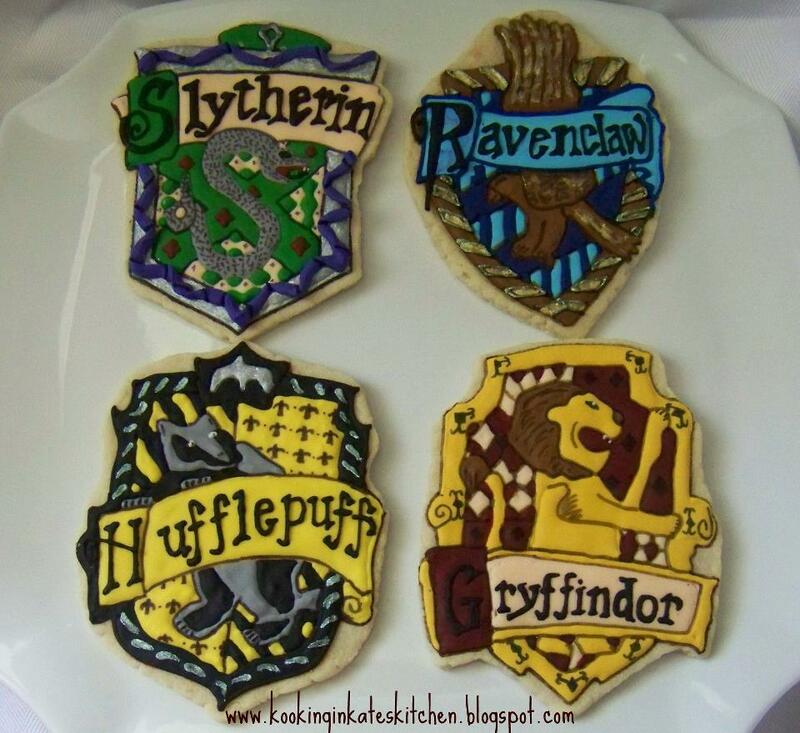 She made these incredible Harry Potter house theme cookies with each one being hand-cut! 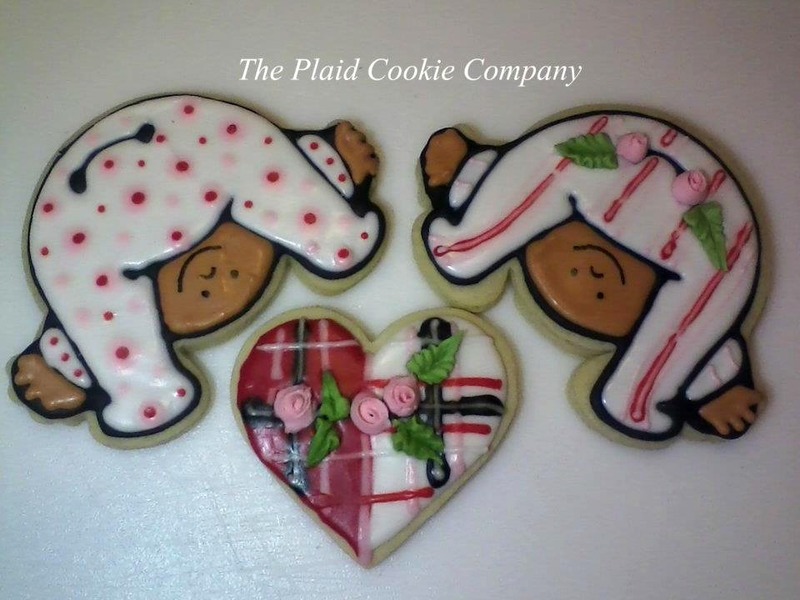 #33 came from Sharon of The Plaid Cookie Company. 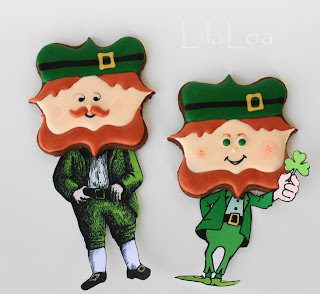 I have this eCrandal.com cookie cutter too and it's one of my favorites. 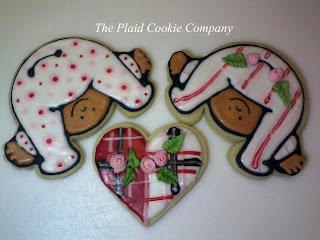 Adorable baby playing peek-a-boo and beautifully decorated by The Plaid Cookie Company! 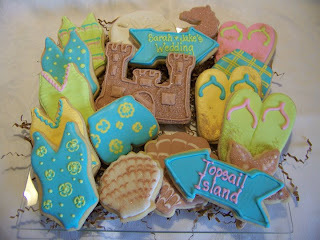 #34 came from one of my very favorite cookiers, Kara, of Cookies in the Cupboard. 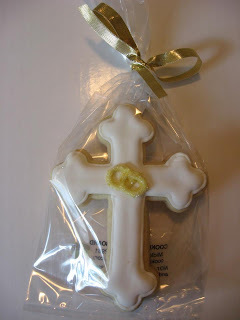 She made this gorgeous cross using a cutter from CopperGifts.com. By the way, Kara, my son and I bought and read that book you recommended in your blog post: "The Christmas Cookie Sprinkle Snitcher" and had so much fun reading it! I think the best part was my 17-year old son and I sitting down together to read a children's book! I think my 27-year old daughter better make me some grandchildren soon to let Nick off the hook ;-) Thanks for sharing your beautiful cross cookie! 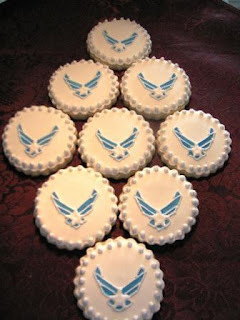 #35 is from another cookier friend (gosh how blessed am I), Michelle, of Frosting - Cakes & Cookies. 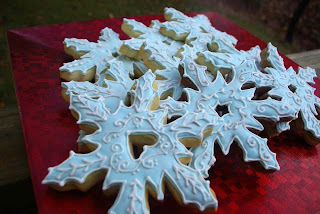 Her snowflake cookie is her favorite of the bunch, but she doesn't remember where she got the cookie cutter. 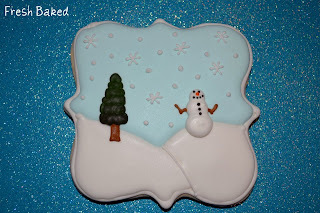 Isn't that so cute to make that adorable snowman inside the snowflake? I LOVE that design! Super cute! The Christmas tree is a cutter from shopbakersnook and they are doing a fun Easter challenge. Check it out! 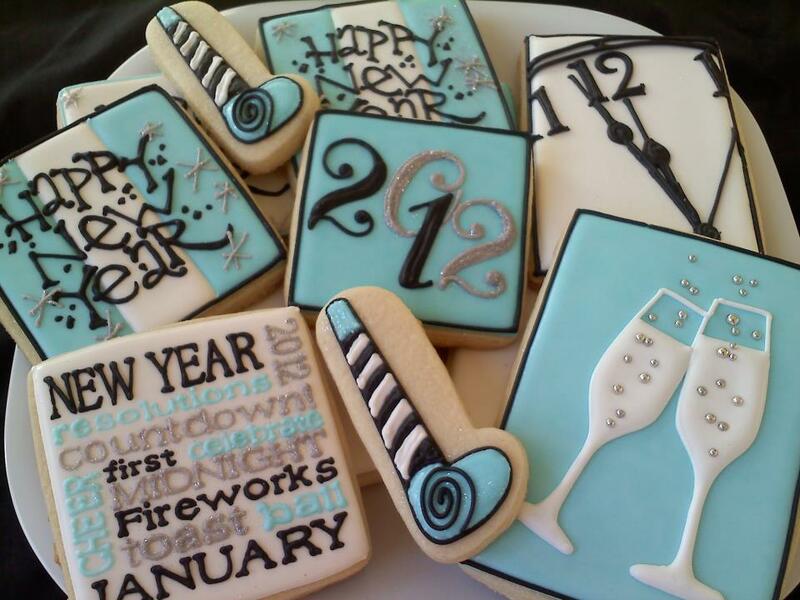 #36 brought gorgeous New Year cookies from Teresa of Sweet-T-cakeS. 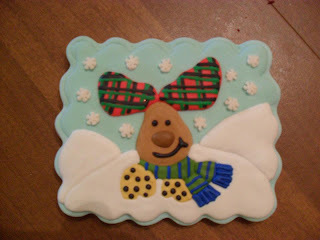 She used a large rectangle cutter from Ateco which is great for many different designs. Beautiful! #37 from cookier friend, Giselle of Baking in Heels brought this adorable Alice In Wonderland Queen of Hearts cookie. 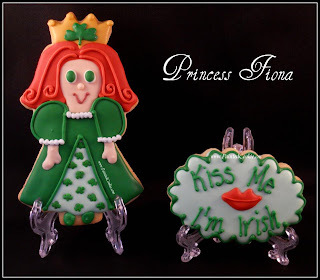 She used the Fancy Dress cutter from CopperGifts.com. I have this cutter and never would have imagined such a cute design! You are so creative Giselle! I love this! #38 is from my good buddy, Donna Bailey. I adore her. She signs everything as "Blessings, Donna B." She's adorable and always so sweet and complimentary and gosh, her cookies are just adorable every time. 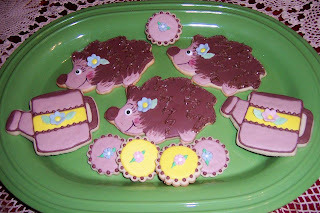 Donna made these Hedgehog cookies using a hand-cut template from plastic and she says that now eCrandal.com has a Hedgehog cookie cutter so that is on Donna's wish list. Her scallop round circles are cute and so useful for many designs. 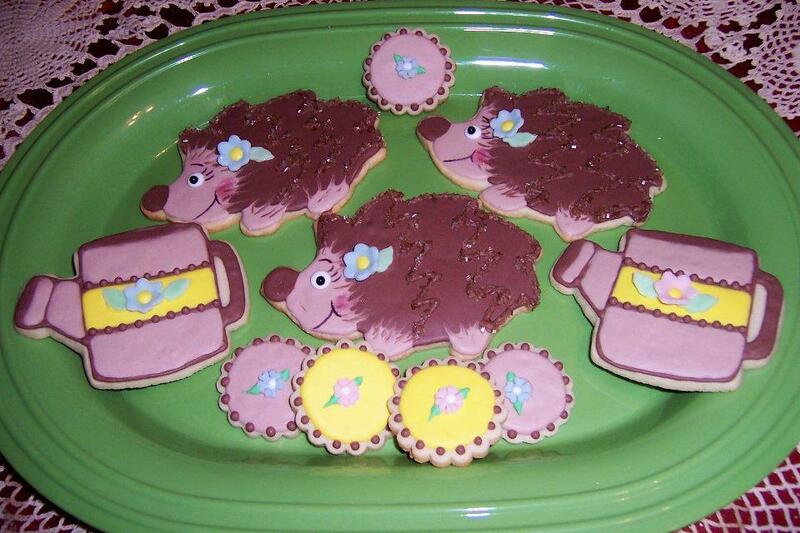 Donna your hedgehog cookies are adorable, but I also love the bubbles you made. I thought those were so much fun! #39 came from Rachel Murray. Her beautiful and detailed Cornucopia came from a cutter that her mom made for her! Ooh my mom is going to hear about that! Rachel can you ask your mom to adopt me and make me lots of cookie cutters? 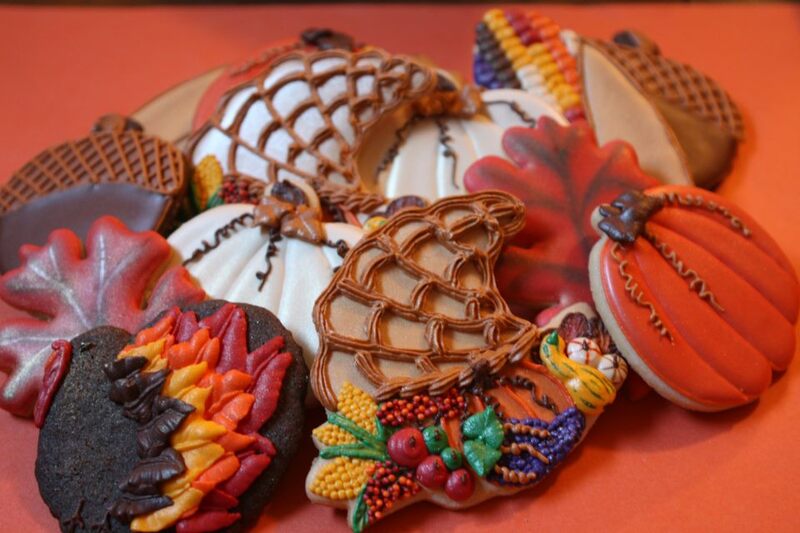 ;-) Beautiful detailed decorating of the cornucopia! 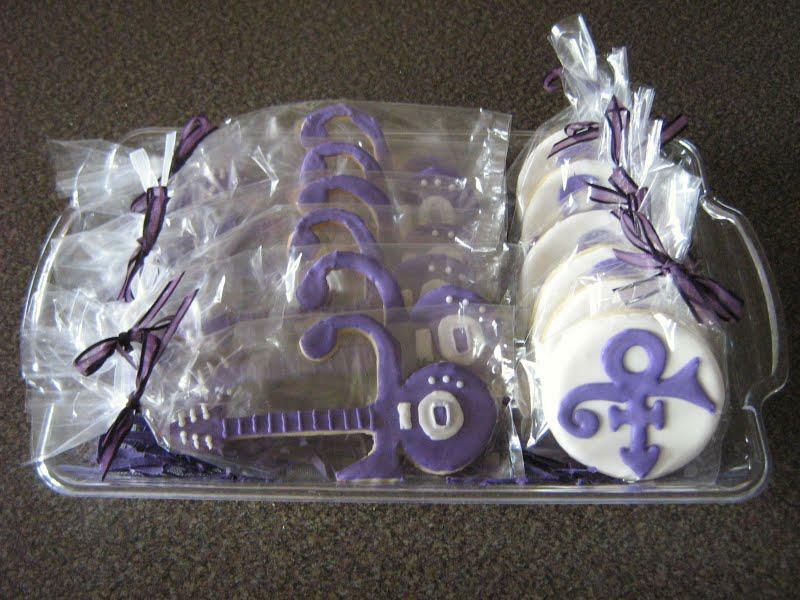 #40 is from Nicole of SugarMomma's Custom Cakes, Cupcakes, Cookies. 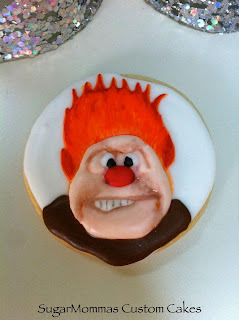 The Heat Miser! Thanks to my friend Scott for helping me to remember his name from the Christmas movies! My son always loved this character! He is perfectly decorated! Great job Nicole! #41 is from a new friend, Kelly Hong. 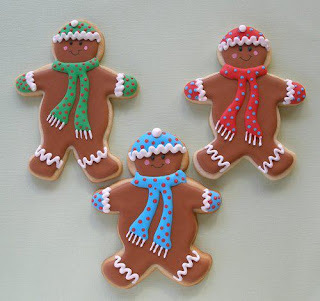 I can't tell you how much I love these gingerbread boys decorated so adorably! My son and I are gingerbread FANATICS and these just look too adorable to eat. 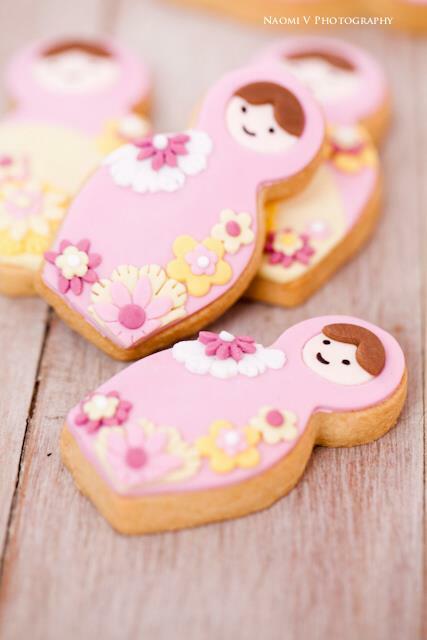 I'd get over it, I'm sure ;-) These are really cute and I bet they''re super yummy too. #42 is also from Kelly Hong to show us that the gingerbread boy cutter is very versatile and was used to make these mummies at Halloween too. Fun! #43 came from Shelly of Flour Child. 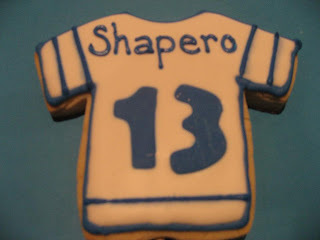 She made this cool sports jersey from a cutter by CopperGifts.com. Great piping and writing! It makes me think of my son's hockey jerseys! 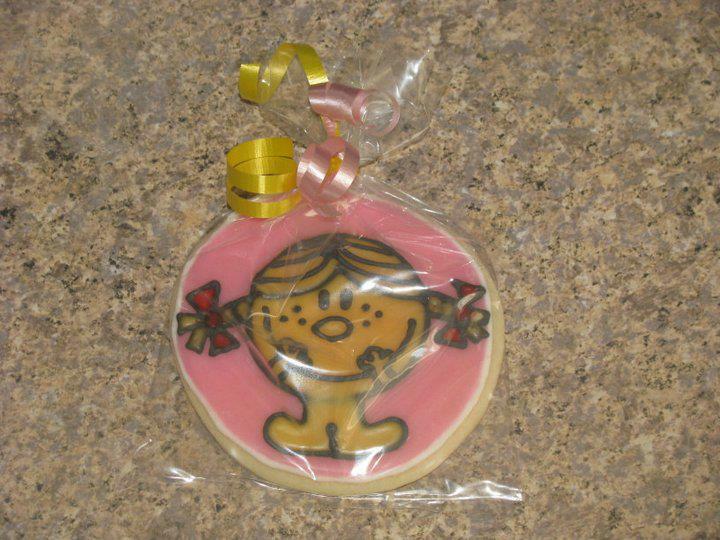 #44 brought this adorable little Miss Sunshine cookie from Jennifer Schuelke Rapp. 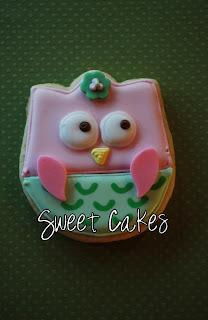 Jennifer used a circle cutter to create this adorable cookie. #45 Shelly of Flour Child also sent these super cool Sonic The Hedgehog cookies for us to see. My son would seriously FLIP over these! 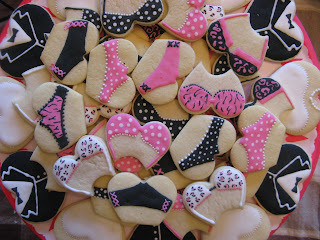 #46 is from Cookie Creations - a heart cookie cutter made into lingerie tops & bottoms. Some more fun risque cookies. My favorite is the one on the bottom left with the lacy edges. Sooo cute! #47 is from the incredible Marlyn Birmingham of Montreal Confections. 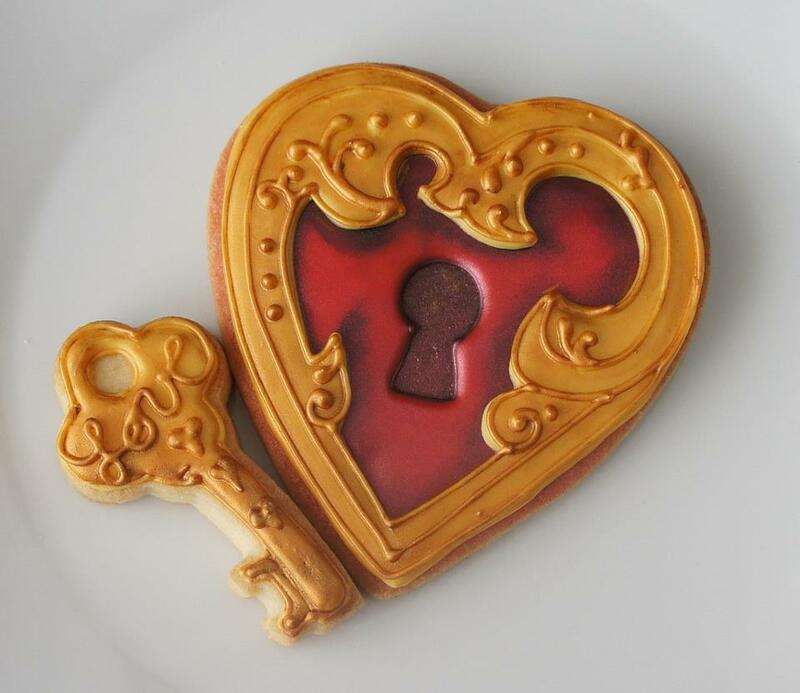 Isn't this beyond gorgeous heart lock & key incredible? I love all the incredible detail! 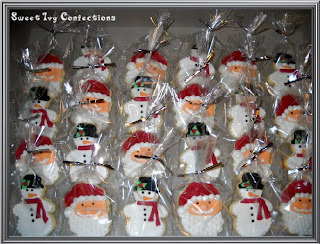 I'm honored to have you join us for our favorite cookies of 2011 Marlyn! #48 came from Danielle of The Sweet Shop & Invitation Station. 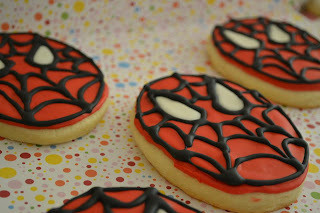 These super fun Spiderman cookies were made from a circle cutter shaped into an oval. Great job on the detail Danielle! #49 was sent from Sarah of Klickitat Street. 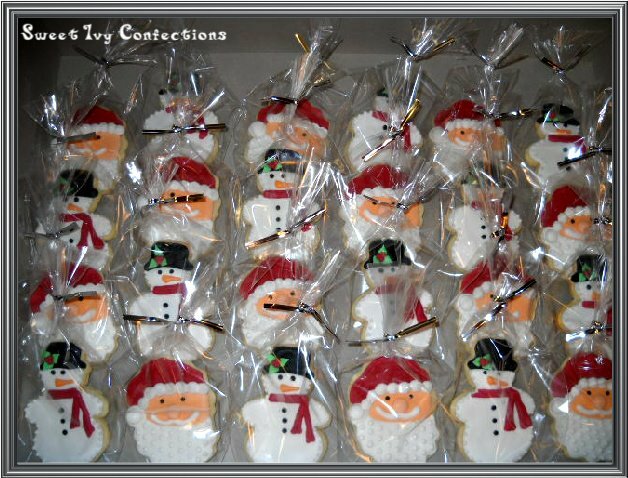 She used a snowman cookie cutter and had the incredible vision to turn the snowman upside down and see a beautiful winter girl to create! Isn't she incredible? I love this cookie that Sarah decorated! Beautiful! #50 arrived from Liz of CookiesToGo. How cute is this? She made an engagement ring from a circle cookie cutter and used a miniature christmas tree to create the diamond. I love the creativity and how beautifully this ring is decorated! #51 Here are the cutters that Liz of CookiesToGo used to create the diamond ring above. Isn't that ingenious! #52 is from DJ of DJ's Sugar Shack. 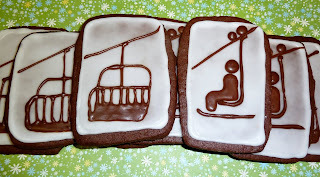 She works at a ski resort in Alaska, so these ski cookies were really fun for her and I love the detail of them! 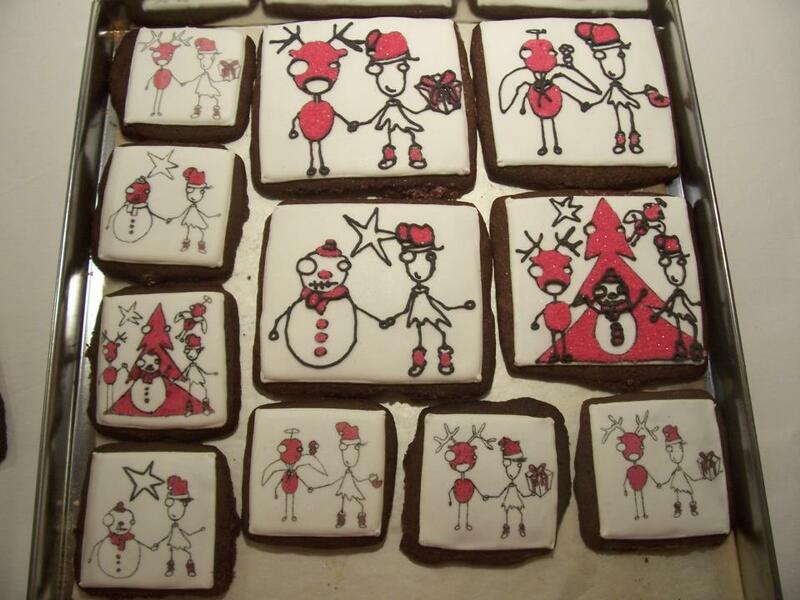 #53 came from Tracey Henry with her ingenious idea of making snowmen from a number 8 cookie cutter! These turned out perfectly! #54 was from Julie Vos Haan. 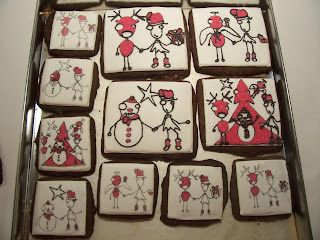 She says she is new to cookie decorating, but look at these cookies! 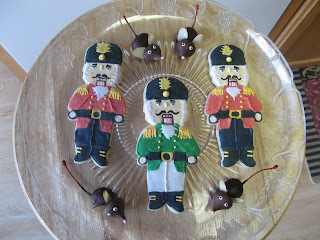 She used a soldier cookie from a local shop in Michigan to create these excellent Nutcracker cookies. Amazing job Julie! 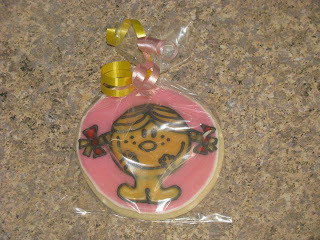 #55 cookie came from my cookie buddy, Susie Simser. 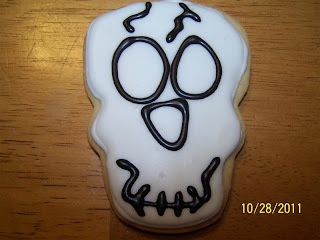 Her Skull cookie is really fun. 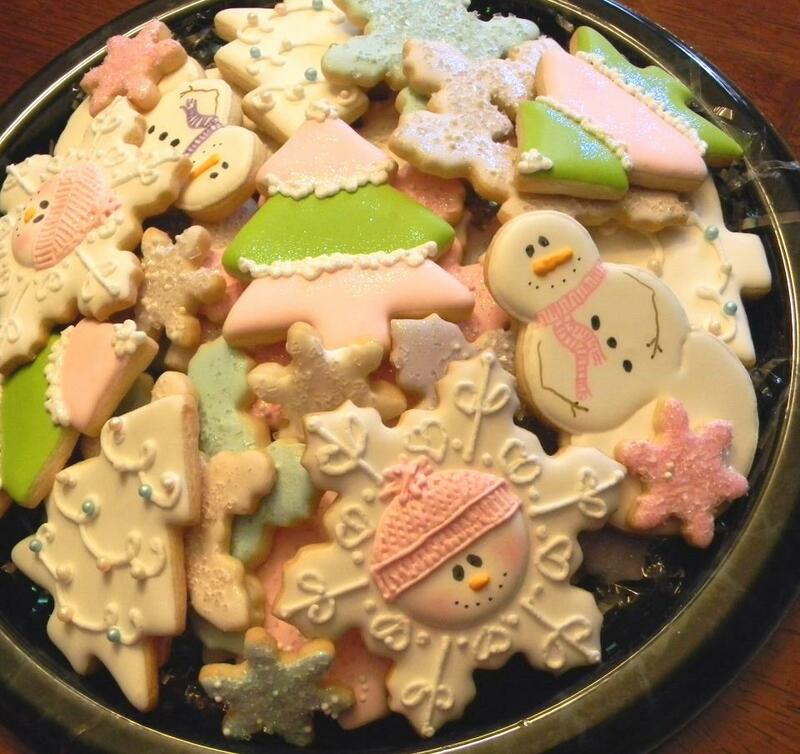 Susie also is new to cookie decorating and didn't make too many cookies this year, but she obviously has a real passion for it. Great job Susie! #56 came from Kathy of Cakes On The Lane. She made these beach theme cookies for her daughter's wedding on the beach. The cutters are from CopperGifts.com and KarensCookies.net. These are so beautiful! #57 came from Julie of Sweet Cakes. This adorable owl cookie is in my favorite colors! 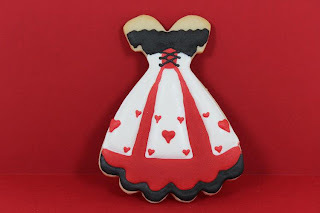 I love that because then it makes me think that Julie made this adorable cookie just for me ;-) She used a Wilton tulip cutter to create this beauty. #58 Linda of Bubble and Sweet made these nesting dolls and I'm so jealous! This cutter has been on my wish list for quite a while. Linda got the cutter from Bisk-art in Australia, but it is also available on eCrandal.com. Linda used fondant and royal icing dots to decorate these. Absolutely beautiful Linda! 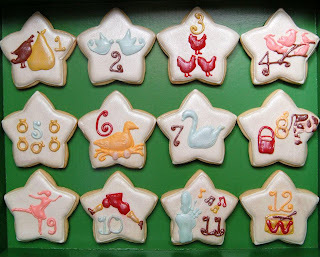 #59 is from my cookie friend, Kim, of The Cookie Puzzle. 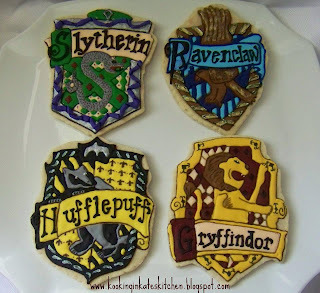 She made these Harry Potter cookies for her son's class and made some of them from a smooshed baby bottle! 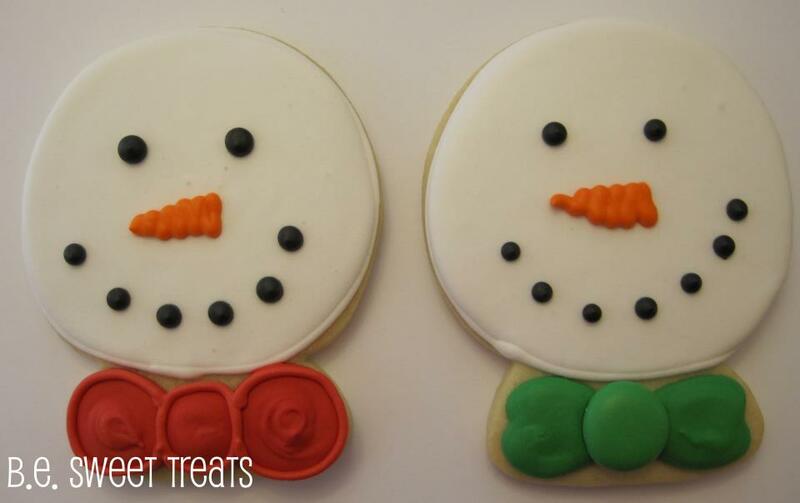 Kim was still new to cookie decorating when she made these, but you wouldn't know it from how great they came out! #60 brought beautiful cookies from Miss Cuit in Quebec. She said that most of the cutters are from Golda's Kitchen or Amazon.com. I love the detail and the colors! #61 is from Kate Sullivan who is one of the sweetest people you could find. She often sends me emails saying nice things and inspiring me. I really appreciate her! 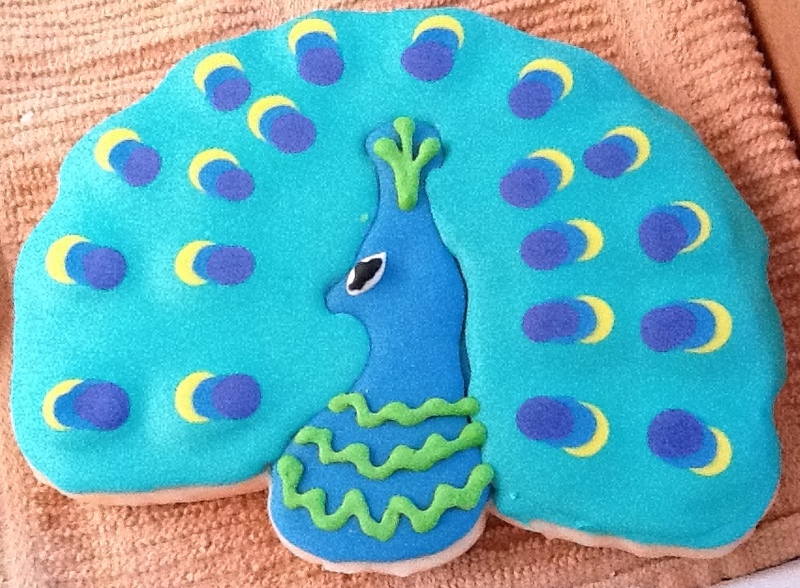 Kate made this Peacock cookie inspired by FlourBoxBakery with a cutter from eCrandal.com. Beautiful job Kate! You have a real knack for cookie decorating! #62 is another cookie from Kate Sullivan. 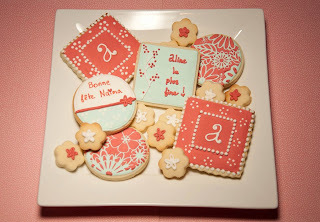 Her Music Note cookie was inspired by The Decorated Cookie Blog with the cookie cutter from Sur La Table. 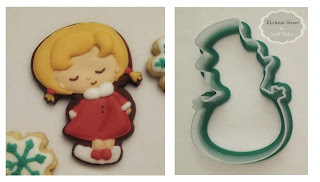 For my own favorite cookie of 2011, I had a really hard time choosing since there are cookies that have sentimental value and cookie cutters that are used often and cookie cutters that are unique and special. In the end, I decided on ice cream cookies since I'm a California gal :-) I made these for my father-in-law's' birthday and he's a super cool guy. 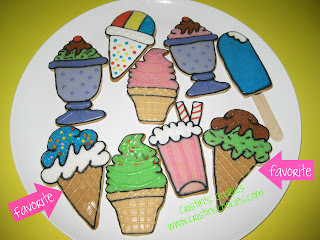 The Ice Cream Cone and the Ice Cream Sundae are both from CopperGifts.com. For a list of all my cookier friends, go here and download your own copy and then go become a fan of their pages! 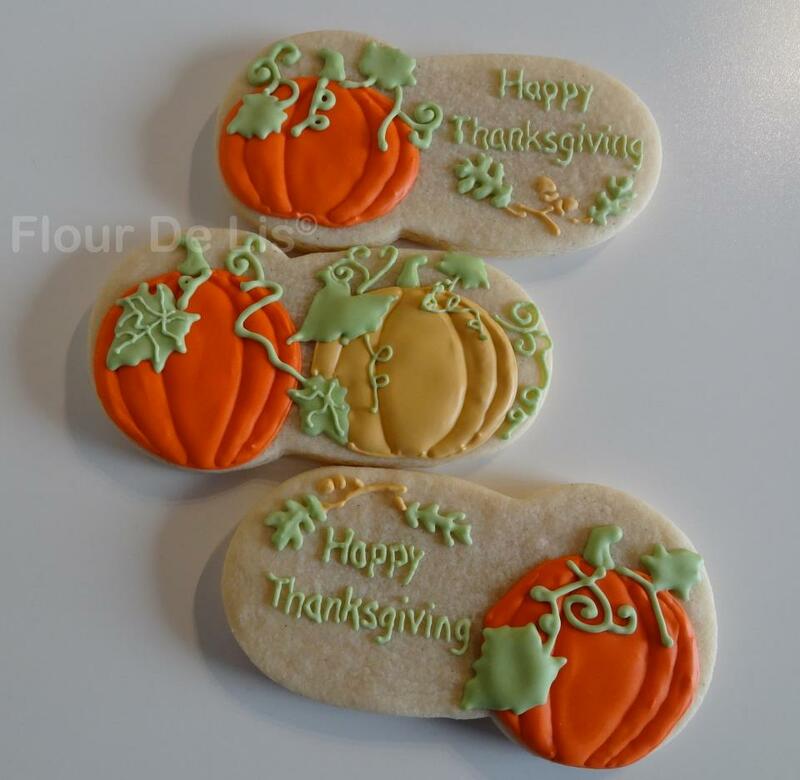 Thank you to everyone for playing along in this Cookie Challenge! I've so enjoyed seeing everyone's favorite cookie of 2011! 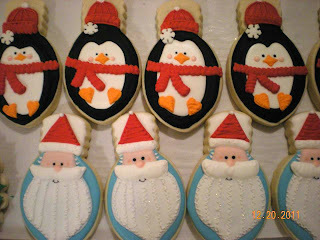 You all did an amazing job on creating beautiful cookies in 2011. 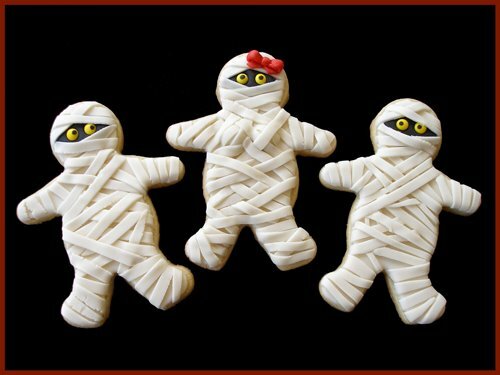 I'm loving being a part of this cookier community and learning and growing and getting to know you all! @Sue We missed you playing along in this one Sue! I totally understand about being bogged down though! I'm wading through 166 emails tonight! Wow! 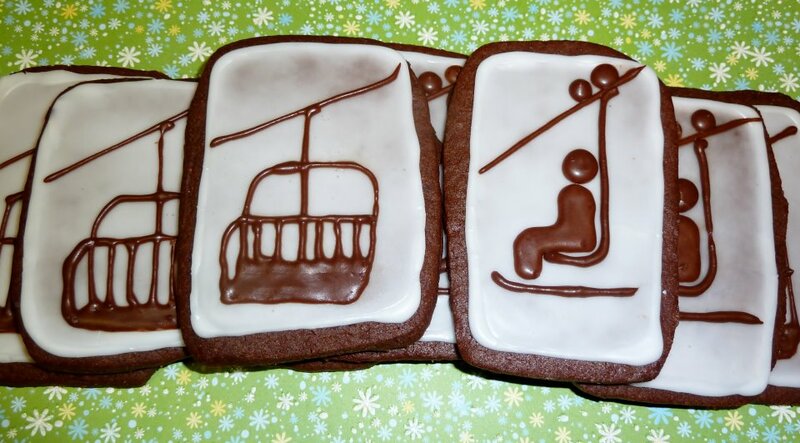 So many awesome cookies were submitted for this challenge. Thanks for taking the time for putting this challenge and post together. Incredible job Cristin. Thank you for all the time and effort you put into this for the rest of us to see everyones cookies. There's some really cute and creative cookies here, from all lots of different places. Awesome!!! This is an impressive collection! Thank you for doing this to bring us all together to encourage and appreciate each other's beautiful work....you play a big part in that encouragement too, Cristin! Love it, Cristin! Thank you for bringing us all together! 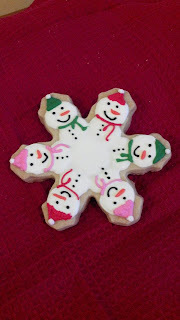 Everyone's cookies are amazing and so much fun to look at! 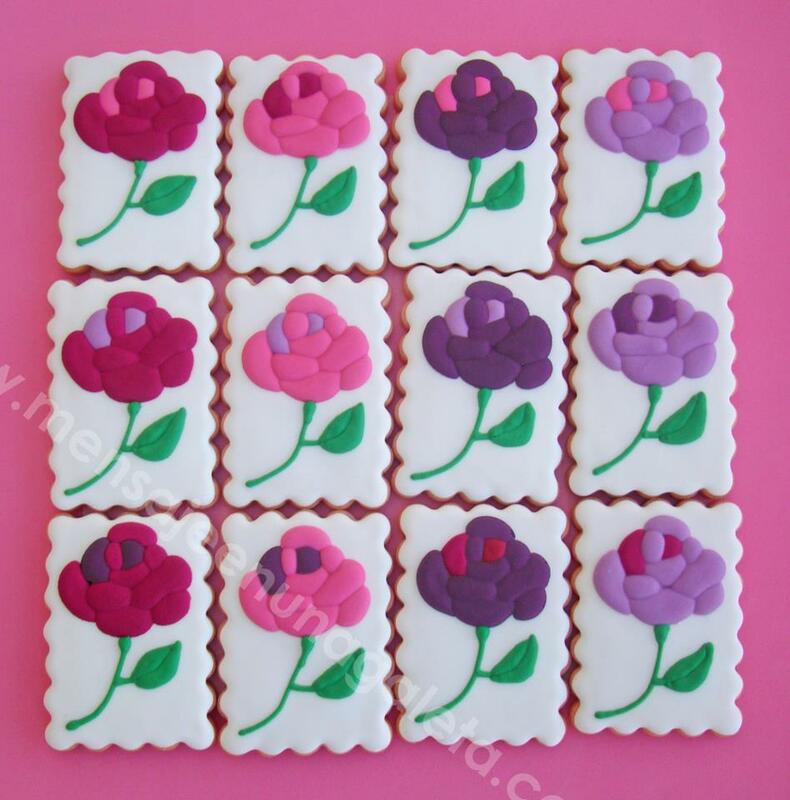 And a great way to build up our cookier network! 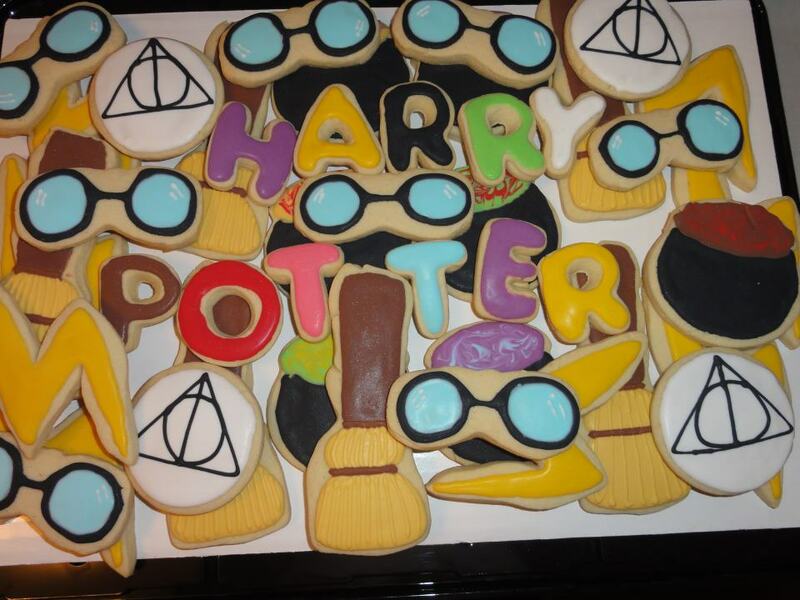 Love all the amazing cookies. Lots and lots of talent out there! 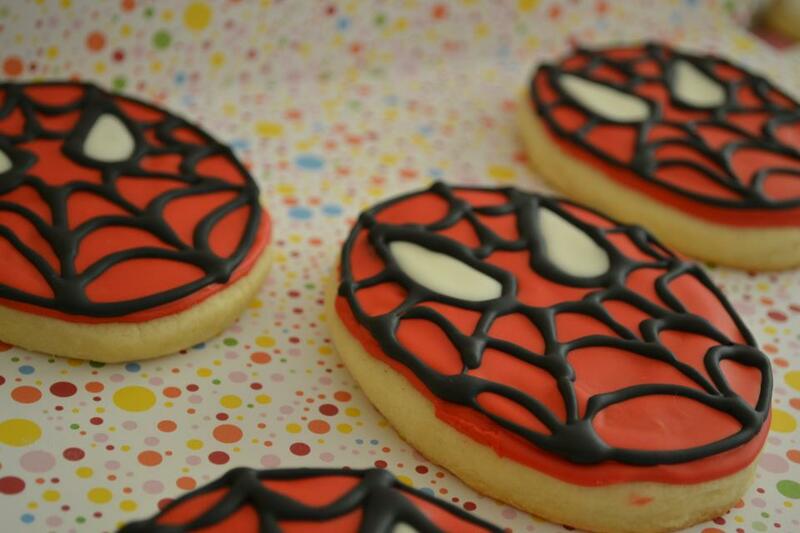 Thanks for putting this together Cristin, and for including my spider man cookie :) All of these other cookies are such an inspiration and I can wait to get started baking some new ones! wow, so much talent all in one place. And no worries about fixing my pic, as I'm a bad photo editor! @Chef Scott You're right Scott! Thanks so much for helping me with the name of the character. I've even adjusted the post. Thanks! I hope you join us next time! Cristin! What a job it was to put this post all together and what a great lady you are to have hosted this and completed the post. So many wonderful and talented cookiers...every one of them. Thank you! So enjoyed it. 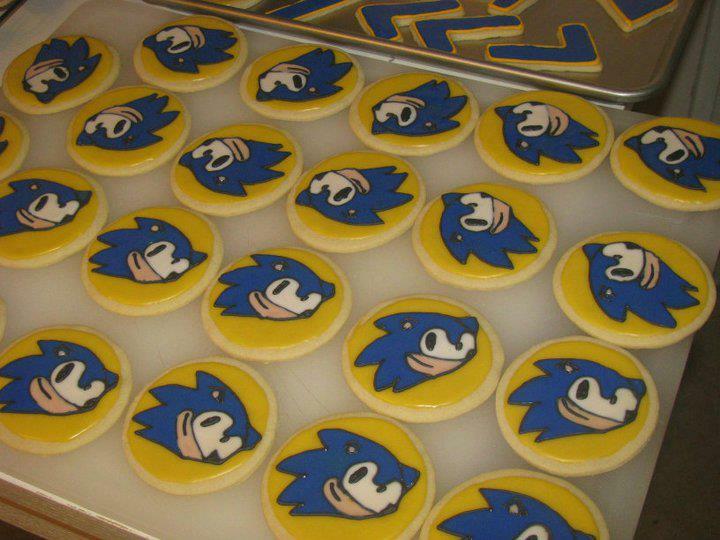 What a beautiful collection of cookies! 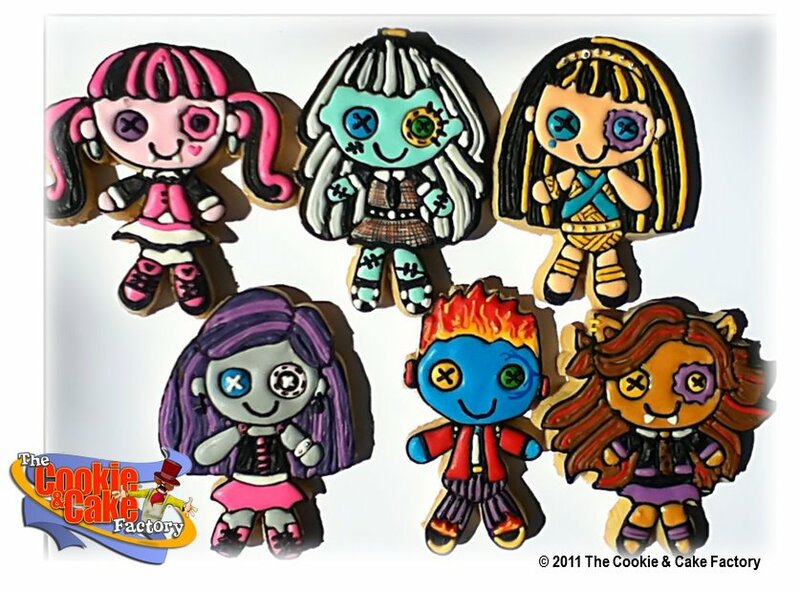 So fun to see all these awesomely talented cookiers and to read your sweet comments about each one. You never cease to amaze me with your thoughtfulness and creativity! Great round up, thanks so much for this fun challenge. What a great challenge! I meant to jump on the bandwagon, but got bogged down:( I'd say that my little round cutter came in handy this year for many easy and fun cookies:) Happy New Year, Cristin!